Many parents regard it as an unavoidable rite of passage for their kids, but it&apos;s been revealed that their offspring are losing IQ points when they become involved in physical altercations at school. A study has found that girls who fight drop over three IQ points when injured, almost double that of a boy who lose 1.62 IQ points. Co-author of the study, Joseph A Schwatz of Florida State University, said the study shows teen fights have "much more serious consequences than a broken bone or a black eye". "Females lost almost twice as many IQ points for each serious fighting injury compared to males." You just have to type &apos;girls fighting&apos; into YouTube to realise teenage fights are a serious and common occurance. Many seem to be scheduled and the surrounding crowd are more than happy to film it and post it online. Tim Bowden, a school counsellor and co-author of I Just Get So...Angry says this is a real issue. "Before a fight might have had a few witnesses down the back of the shed but now it gets uploaded and so many more people are going to see it." The Keep Schools Safe website reveals 1 in seven children have been in a physical fight on school property with 1 in nine of those needing medical treatment afterwards. 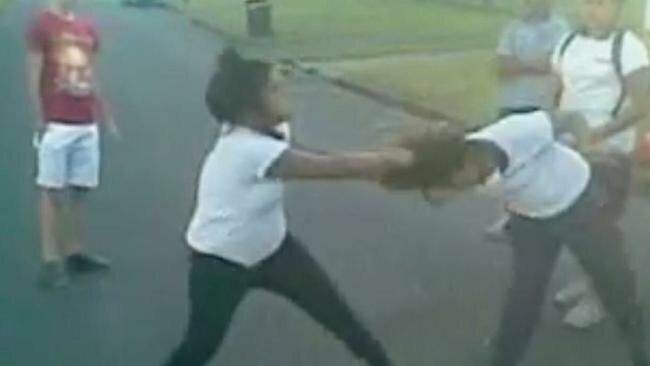 Has your child ever been involved in a school yard fight?